Hey...it might not have been Vegas...baby, but it was awesome none the less! 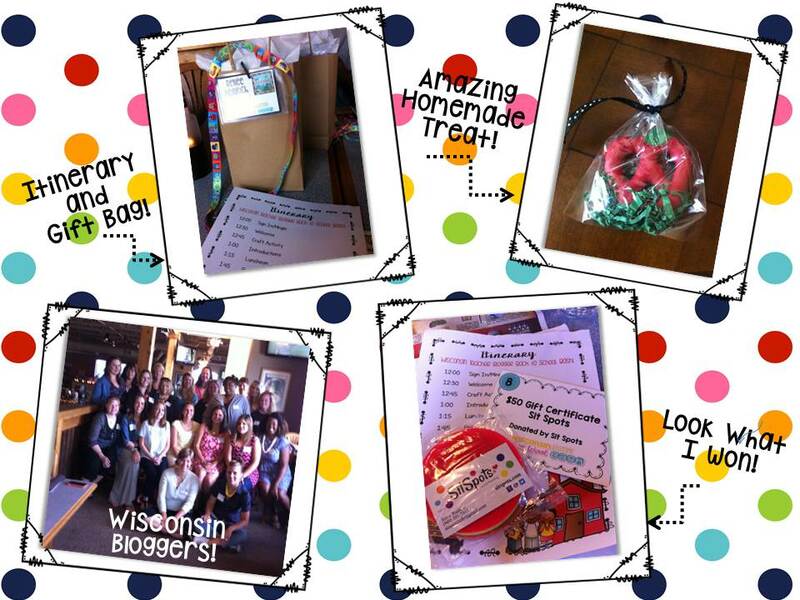 This Saturday, a group of 21 Wisconsin Bloggers met up at the Delefield Brewhaus right outside of Milwaukee. We spend several hours networking, sharing, eating, and their were some amazing swag and prizes! I am so fortunate to have met these amazing ladies and I am so appreciative of the two wonderful women that organized this special event! A BIG thank you goes out to Jessica Plemons from Mrs. Plemon's Kindergarten and Angela Nerby from Hippo Hooray For Second Grade who organized this event for us! 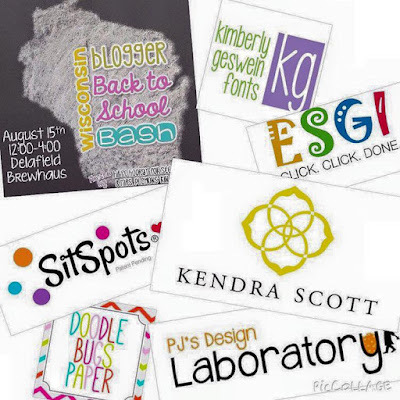 Stop by their blogs! There were such AMAZING sponsors that helped make this event even more spectacular! I was so lucky to win Sit Spots! I ordered circles and paws. Our school mascot is the Jaguar...perfect for our little ones! Check out their website for some spots of your own! Other great sponsors were...Kim Geswein Fonts, Kedra Scott Design, ESGI, Tailwind...and many more! Connecting with these amazing, talented women was worth the 4 hour drive! We all share the same goal...improving education by creating amazing resources and reflecting on how to juggle school, blogging, creating, and still have time for ourselves and our families! I can't wait until we meet again...I see rumblings of another meet up real soon. We need more time to chat and share! Until then...On...Wisconsin!